Did you know that the first Father’s Day was observed in Spokane, Washington, in 1910? Sonora Louise Smart Dodd first proposed the idea of a “Father’s Day” in 1909. Mrs. Dodd wanted a special day to honor her father, William Smart, who was widowed when his wife died in childbirth with their sixth child. Mr. Smart was left to raise the newborn and his other five children by himself. Mrs. Dodd wanted Father’s Day to be celebrated on the first Sunday in June, her father’s birthday. However, the Spokane council couldn’t get the resolution through the first reading until the third Sunday in June. Over the next decade, cities across America began celebrating a day for fathers and in 1924 President Calvin Coolidge supported the idea of a national Father’s Day. It wasn’t until 1966 that President Lyndon Johnson signed a presidential proclamation declaring the 3rd Sunday of June as Father’s Day. In 1972, President Richard Nixon established a permanent national observance of Father’s Day to be held on the third Sunday of June. This came almost sixty years after Mother’s Day had been proclaimed a National day of observance. Feel free to pay a tribute to your Dad in the comments section. 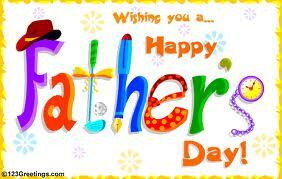 Happy Father’s Day from BrandLove, LLC!